MICHAEL RAUCH is President/Co-Founder and Managing Partner of Rauch, Robertson & Co. and CRE Florida Partners (“CRE”) with headquarters in Boca Raton. 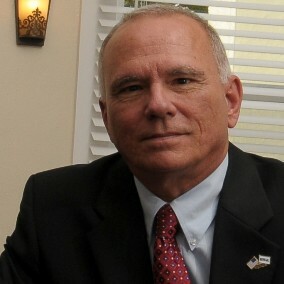 He co-directs the business operations of CRE throughout Florida. Mr. Rauch has represented clients from a broad and diverse set of businesses and industries including manufacturing, logistics, aviation, construction, automotive, housing, marine, medical, non-profit, health care, food, insurance, government, aerospace, military, finance, and many more. He has been active in the commercial real estate field for 26 years. Beyond his experience in commercial real estate, Michael brings 17 years of senior management corporate experience with global technology firms such as United Technologies Corporation, Motorola, BBN, Boca Research, and Bendix Avionics. He spent the last 32 years of his career at the executive level including 13 years with the NAI Global organization, co-directing as managing partner the Broward County organizations growth to over 40 commercial brokers. Mr. Rauch closed or co-supervised the closing of over $2.4 billion in commercial real estate transactions having gained the respect of his staff and peers. During his tenure with NAI Global his firm consistently maintained a presence in the top 10 commercial real estate firms in south Florida. He is a hands on real estate professional with a depth of experience spanning the full real estate investment life cycle including leasing, sale disposition, tenant and corporate representation, property identification, underwriting, capital markets, loan and asset due diligence, equity placement, trust services, IRC1031 exchanges, receiverships, and property and asset management. In prior years he was a principal in multiple commercial real estate partnerships and privately held real estate trusts that owned and operated investment grade commercial real estate located throughout the southeastern United States. He has provided consulting services to several banking institutions, REITs and hedge funds. Over a 40 year career, and in addition to working in the technology sector between 1977 and 1994 and the real estate finance sector between 1994 and present day, he also served in classified civilian capacities for the Department of Defense (Department of the Navy and Air Force), and was deployed with the 45th and 30th Air Force Space Wings. His contributions at UTC, JPL, and numerous missions at the Canaveral, Patrick, Vandenberg, Toulouse and Western European air bases helped advance America’s military technology. Michael is a true patriot and a respected member of the scientific community. Michael Rauch has provided expert assistance in a number of commercial real estate transactions for our family. He is a great resource and an consummate professional in the areas of commercial real estate and real estate finance.